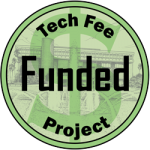 The initial quoted price for UCF based on FTE and other factors was $232,805 for both collections, but after careful negotiations and the opportunity to compete in the Technology Fee process, SAGE has agreed to a 10% discount. The savings of $24,620 make this an exceptional offer. With SAGE Research Methods, faculty and students can explore methods and concepts to help them design research projects, understand particular methods, identify a new method, conduct research, and report their findings. Since SAGE Research Methods focuses on methodology rather than disciplines, it can be used across various subject areas in the social sciences, health sciences, and more. With SAGE Knowledge, UCF Libraries will gain perpetual rights 2,500 scholarly monographs in the social sciences in the following subject areas. SAGE Publications, Inc. is a respected academic publisher known for their commitment to quality. They provide strong content in business, humanities, social sciences, science, technology, and medicine. SAGE journals, books, and electronic media are used by scholars, practitioners, researchers, and students internationally. The UCF Libraries currently subscribes to the SAGE Premier journal package and a previous Technology Fee award allowed the library to purchase perpetual rights to the full journal archive. Having access to all three products – SAGE Premier (journals), SAGE Knowledge (online monographs), and SAGE Research Methods — will enable UCF students and faculty to easily find relevant materials on all three platforms. Once a UCF affiliated user has selected a research question, they can find the latest research on the SAGE platform. SAGE Knowledge includes an expansive range of SAGE eBook and eReference content, including scholarly monographs, reference works, handbooks, series, and more. Individual book pages in SAGE Knowledge list related journal content on the SAGE Premier platform as well links back to SAGE Research Methods. SAGE Research Methods features a SAGE Premier search widget, so students can find journal articles that describe how the chosen research method was employed on a similar topic. When used together, these three platforms will give students a vast array of content to support their own research projects. SAGE will allow fair use of the content for educational purposes, including embedding links into WebCourses and Canvas. Access would be available to all UCF students and employees, with off campus access enabled by Shibboleth authentication. Maintenance of this collection requires a small annual platform fee that is typical for digital collections of this quality. UCF Libraries will fund this annual fee from existing funds. All content and functionality associated with SAGE Research Methods and SAGE Knowledge will be hosted by SAGE, so there will be no new demands on UCF staff or infrastructure. The UCF Libraries is requesting $203,185 ($208,185 less a $5,000 cost share from UCF Libraries) for the one-time combined purchase of SAGE Research Methods and SAGE Knowledge. The combined collections will provide UCF students and faculty with all the features of the research methods collection and over 2,500 ebook titles including scholarly monographs, reference works, handbooks, series, professional development titles, dictionaries, encyclopedias, the entire Little Green Book (quantitative research) and Little Blue Book (qualitative research) series, newly commissioned videos, and other major works. SAGE Research Methods with SAGE Knowledge has the potential to benefit the entire UCF community, including the current 59,785 students and 1,959 faculty. Content can be accessed by an unlimited number of simultaneous users (24×7), and there is no limit to number of downloads. UCF will own the collections and therefore meet the instructional and research needs of the UCF community well into the future. The collections selected for purchase closely align with UCF courses in business, humanities, social sciences, science, technology, and medicine. However, it is likely that students in other areas of study will find relevant information in this large collection. Based upon the major areas of SAGE publications, we have identified the programs and colleges that are likely to benefit the most from the purchase of these collections; these programs have combined enrollment of 29,628. The table below shows the major areas of study that will directly benefit by the purchase of SAGE Research Methods with SAGE Knowledge. SAGE Knowledge and SAGE Research Methods are all online and the content will be available to all UCF students, faculty and staff anywhere, aNytime, 24×7. The online materials will also benefit UCF Regional Campuses, online courses, and distance education programs. Students and faculty will be able to discover SAGE Knowledge and SAGE Research Methods content by searching the UCF Libraries catalog, OneSearch, subject databases, Library Research Guides, and internet search sites linked to our catalog such as Google Scholar. All content and features will be accessible through SAGE Knowledge and SAGE Research Methods user-friendly interface that provides options to browse by subject, author, or title. All materials are offered in full text HTML and PDF format, and are easily printed, emailed or downloaded to read on a mobile device, laptop or computer. SAGE Publications, Inc. is a respected academic publisher with strong content in business, humanities, social sciences, science, technology, and medicine. SAGE journals, books, and electronic media are used by scholars, practitioners, researchers, and students. The content directly supports student learning by providing content for course papers, projects, and study. as a School to offer a variety of specialty areas within the field. would be a very useful addition to library resources as part of the tech fee proposal that is being considered. They would benefit Political Science undergraduates as well as graduates who are taking a number of methods classes, or working to increase their methods competency, especially in relation to the recently begun Ph.D. program. research and content for course assignments. The UCF Libraries will measure the success of SAGE Knowledge and SAGE Research Methods through usage reports and satisfaction surveys. COUNTER reports (an industry standard format for online usage statistics) will track which titles are used and the number downloaded. Selected faculty and students will be asked for comments these products. It is expected that usage will increase by 10% to 20% per year in the first three years. The UCF Libraries does not have a product similar to SAGE Research Methods. It is expected that students and faculty will find the content highly useful. The requested funds will cover the entire cost to purchase perpetual access to SAGE Research Methods with SAGE Knowledge. The Libraries will catalog the content, maintain links, and support access. Any recurring costs for maintenance of the collection will be paid for using library funds. Content is hosted by SAGE Publication, Inc., and there is no impact on staff resources. The requested $203,185 in technology fee funding combined with the $5,000 UCF Libraries cost share will cover the entire purchase of SAGE Research Methods and SAGE Knowledge. There are no additional charges for the initial purchase. The UCF Libraries will cover the annual platform fee that is common for large digital collections of this quality. All content and functionality associated with SAGE Research Methods and SAGE Knowledge will be hosted by SAGE, so there will be no new demands on UCF staff or infrastructure. The initial cost per student simultaneously served is $6.86 ($203,285 / $29,628 = $6.86). However, this price per student is misleading because there is no limit to the number of times students and faculty will access the products over time and UCF will have perpetual rights to the content. The cost per use could be much lower.